If you are in the market to buy a new monitor the biggest decision to make is, what size? Once you have worked this out you can start looking through your options but until then you need to have a careful think about it. In this post we take you through the things you’ll want to consider. Should I consider ultra wide screen? Can a monitor be too big for gaming? What is the best size for playing games? Will my desk be big enough? It’s important to stress that there is no right or wrong answer to this question. Ultimately only you can chose how big your monitor should be, some people have very different preferences and make choices that I would never make myself but they seem very happy with the decision. So have a good think about what you want to buy. Monitor purchases is not an “impulse” buy, you’ll probably be stuck with this screen long after you’ve replaced your PC or games console so it really is worth putting some though into. Here at GamingMonitors-UK .com we do our best to help guide you through the purchasing process. That said, if you can, do have a look at screens in store and do try playing on them at your friend’s house, there will always be limits to what you can read about online and trying it for real will always be the best option. How big should my gaming monitor be? I would personally start looking at screens bigger than 24″ in size. This is the minimum I would want to consider. The 24″ form factor works well on all but the smallest desks, it will look good in 1080 HD, and these screens tend to be fairly affordable these days. There is also an upper limit, if you are placing your screen on a desk then a big screen is going to take up a lot of space. Particularly the stunning but large 21:9 ultra wide monitors require plenty of width and also depth to accommodate the sturdy stands that are required. If you are sat right in front of a massive screen then you will struggle to take in all the action. In competitive gaming environments I would argue that you could well miss crucial information if the action is taking place outside of your field of vision. That said, if you are playing at a higher resolution and the game allows a higher field of view then perhaps this allows you to see things others would miss. Which is better for gaming, 24″ or 27″? Perhaps a harder choice is whether to go for 24″ or 27″ monitor. I have a 24″ screen and have always loved this size. It seems a nice balance and works well for productivity too. 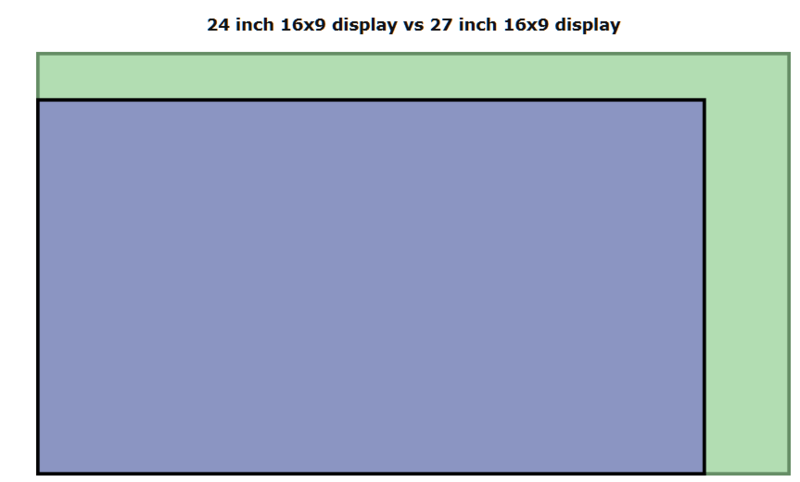 That said, the more I look at 27″ screens the more I wonder if that might be the size of my next monitor! That it is a hard choice suggests that there is no right or wrong here. These comparisons were produced with the help of DisplayWars and I strongly recommend checking them out if you are trying to get a feel of the difference between different monitor sizes. What’s the best size monitor for gaming? There is a general view that bigger is better, or “more immersive”. I think there is some truth to this, you will feel more involved, closer to the action when the action fills your vision. With VR headsets about to go mainstream this has never been more true. I do think there are limits though. Too big and the cost goes up, you need higher resolutions at larger sizes which needs a more powerful PC to run. You need more space on your desk, and there is a limit to how much you can really take in when sat in front of a screen. Sure, you can move further away, but then I start to wonder what the point of the big screen is – save some money and just sit nearer! Many gamers seem to be settling on 27″ as a sweet spot. I quite like 24″ but may go for the bigger size on next purchase. 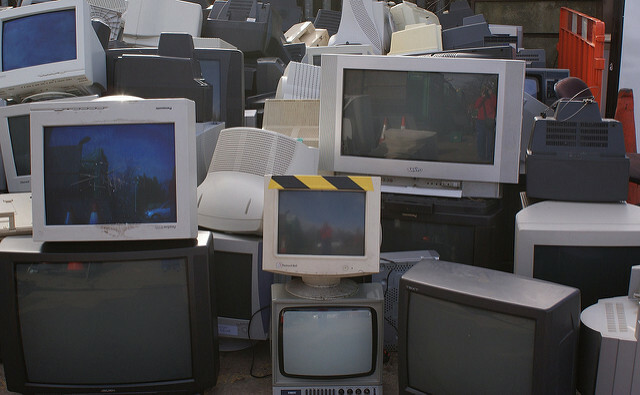 Next step: Go and explore the different monitor sizes here at GamingMonitors-UK. Our filters allow you to pick out different sizes, from the smallest to the biggest whilst separating the ultra wide from plain old wide!